She kept fainting and it was ruining her young life. She’d had it all: PET, EEG, CT, fMRI scans, plus brain tests I’d never heard of. They’d found nothing. Emily’s mother Jane brought her to me for hypnosis, but Emily, intelligent and articulate at 15, did most of the talking. Emily told me how she had fainted while out boating on a school trip to France and had to be rescued. School trips were now out for her. She told me how she’d fainted on the stairs at school, and fallen half way down the flight, obliviously unconscious. She rolled up her sleeve and showed me the lingering scar on her forearm. So now she was no longer allowed upstairs at school. She explained how she couldn’t accept invitations for sleepovers, because she was worried about passing out at a friend’s house (although it had only ever happened at school). I started to wonder… and I didn’t like what I was thinking. Uncharitably (and briefly), I wondered whether Emily was getting some kind of subconscious pay off for her proneness to falling unconscious. Certainly she’d been marked out for special treatment, and had received an unusual amount of attention and compassion. But this explanation just didn’t feel quite right to me. Emily told me she’d had months of therapy with a cognitive behavioural therapist. But she’d found the analysis of all her thoughts had, if anything, made her feel more anxious, and she believed this had actually increased her fainting fits. So then I started to think there might be some traumatic cause for this. And I used three questions to find out. Question 1: Did anything in particular happen around the time the symptom first occurred? I asked Emily how long she had lived with these life restricting fainting fits. It turned out that Emily had been very close to their 70 year old neighbour, Pam. Seemingly much younger than her years, Pam was a vibrant and lively woman and like another grandmother to Emily, with whom she had a great relationship. It was a terrible shock for Emily to come home from school one day and hear from her dad that this lovely neighbour Pam had died very suddenly. Only a few weeks later, Emily returned from school to yet another awful shock. The beloved family dog had been run down in the street and killed. These two deaths had occurred when Emily was not at home. She was at school. Her brain had perhaps tagged ‘school’ as, if not the cause of, then at least associated with, the death of loved ones. Of course she knew consciously that her beloved neighbour and her darling dog had died for reasons completely unconnected with herself and her actions or whereabouts. But her subconscious mind had made a link. When traumatized we try to complete patterns through dreaming, talking, rituals or metaphorically acting out. Like ‘dying’ while at school by having fainting fits. This was a neat explanation, but I pushed my theories aside and determined not to assume anything. So I explored further. Question 2: Does it make you really upset to talk about it, even now? This is such an important part of assessing whether a particular memory needs de-traumatizing. Emily took a few seconds to recall the moment she’d heard of Pam’s unexpected death. Tears appeared in her eyes and she began to shake a little. It was the same with the dog. Emily said even thinking about hearing the news made her feel “just as upset as I did at the time”. Which leads into the third way of assessing trauma. Question 3: Has time stood still? 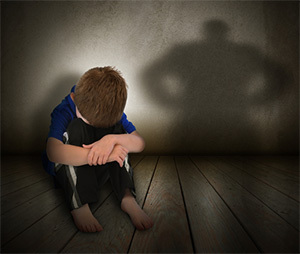 Traumatic memories, because of how they become trapped between the amygdala (the fight or flight part of the brain) and the hippocampus (an area where recent memories are stored) don’t fade with time like normal memories. Neutral or pleasant memories start to feel a long time ago as they become stored in the neocortex. But persistent traumatic memories don’t get transferred into long term memory unless we help the client do that. 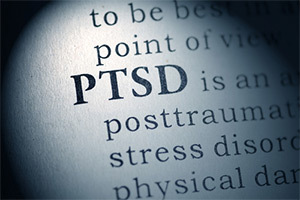 I have worked with many traumatized people, some of whom had traumas stretching back to the 1940s. But these types of memories, no matter how long ago the trauma was, all felt recent, or even current. I asked Emily if she’d like to “put those memories where they belong, in the past” and she said she would. I also suggested to Emily and her mother Jane that I couldn’t be sure, but I thought the fainting may very well stop once those memories had been de-traumatized. I helped Emily by using the Rewind Technique to decondition the painful emotion from those memories so they no longer had power over her. Don’t assume there must be a traumatic root to a troublesome symptom but be aware there might be. Ask if anything upsetting occurred before or around the time the symptom first started. Ask if it still hurts even now (not if it hurt at the time) and if they say yes, ask them to think about that time. Ask if the memory feels more recent than it should do, considering how long ago the event occurred. Emily’s sad memories were put in the past where they belonged. And she never fainted at school again.